John Everett Millais became friends with William Holman Hunt, a fellow student at the Royal Academy School. They both rejected the ideas of Joshua Reynolds, who argued in his famous Seven Discourses on Art, that young British artists should follow in the Renaissance tradition, to admire the work of Raphael, and to aspire to the classical ideal "that perfect beauty never found in nature but attainable by the artist through careful selection and improvement". Hunt and Millais reacted against this view and in September 1848 they joined up with Dante Gabriel Rossetti, Thomas Woolner and James Collinson to establish what became known as the Pre-Raphaelite Brotherhood (PRB). Other artists such as Charles Allston Collins and Ford Madox Brown were closely associated with the group but were never official members of the PRB. 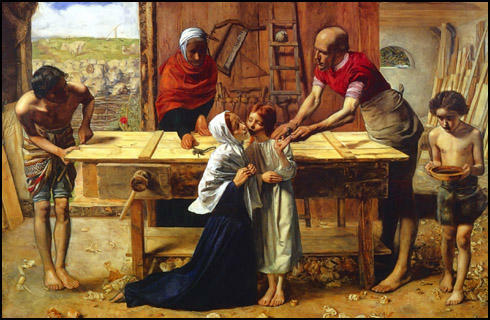 John Everett Millais, who had already developed a reputation as a artist, now tried to put Pre-Raphaelite ideas into practice. 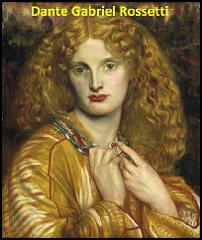 His first major painting in the new style was Isabella. According to Malcolm J. Warner: "It shows the use of portraiture as an antidote to idealization, the stiffness of pose intended to recall medieval art, the minute, all-over detail, and the high colour key that characterized early Pre-Raphaelitism." decent collection of English painting.” Six days later John Ruskin had a letter published in the newspaper, where he came to the defence of the Pre-Raphaelite Brotherhood. In another letter published on 30th May, Ruskin claimed that PRB “may, as they gain experience, lay in our land the foundations of a school of art nobler than has been seen for three hundred years”. Aoife Leahy has pointed out: "The Pre-Raphaelite Brotherhood itself lost its cohesion as a group in 1853 and no longer held meetings after this date. Ruskin, however, continued for some time to write about these same artists and the movement they had inspired in confident tones, with no note of disharmony. 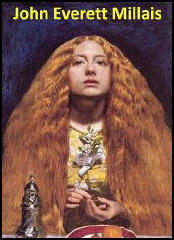 Fortunately, he had generally referred to the Pre-Raphaelites as a school and continued to do so in a seamless fashion. Having begun to defend the P.R.B. at a rather late stage, Ruskin seems to over-compensate by making no mention of the group’s break-up in his critical writings."